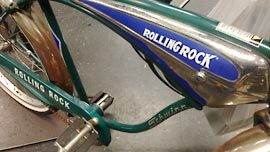 We have been fixing bikes for over 50 years. Our whole business model is rooted in our service department. We are known for fixing everything. While we are known and respected for our professional attitude, it is our unorthodox ways to get things done that really separates us from everyone else. 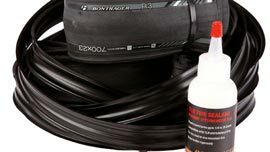 Our service centers install a wide variety of tubeless systems. We can help you get the correct set-up for your desired conditions. There are a ton of benefits to going 'tubeless'. We are here to help. Every Bicycle is a work of art. We know your classic ride is important to you and take extreme care when bringing it back to life. From simple repairs to full overhauls, our service centers are prepared to bring your bicycle to its 'original' condition. Estimates are always free. We know that some customers like to build their bicycle from scratch. Our mechanics can help. 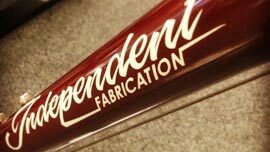 From hand picking components and gear ratios, to deciding on your custom housing color, we are here to assemble your dream bike with precision and mechanical accuracy. We know that wheel building is a lost art in our industry. We build our wheels in house to your specifications. 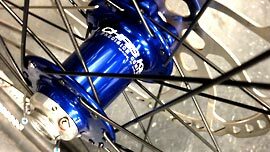 We will help you pick out hubs, rims, and the correct spoke lacing to meet your needs. We have custom wheel builders at both locations. $65 flat rate for most bicycles. We know that your bicycle needs to get where it needs to go. Trust us to pack your bicycle with care, leaving you to only focus on your event or vacation. Coming into town? 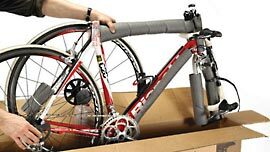 Let us know and you can simply ship your bicycle to one of our locations. It will be ready for you when you arrive. We are able to work on all bicycles with Di2 Shimano Electronic and Campagnolo EPS systems including proper installation of parts and electric wire installations. From diagnostics to repair, our Service Centers are able to adapt to the every changing world of the bicycle.